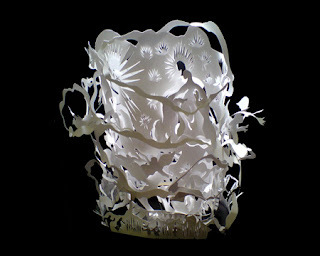 Designed by London-based Yu Jordy Fu, the lampshades for table lamps, chandeliers, and standing lamps in his Cloud collection are hand cut from recycled paper, folded around the light source, and simply exquisite. Sustainable building materials are where it's at these days, especially in the kitchen. 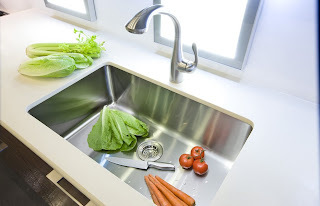 These sinks are made from at least 80% recycled stainless steel and are as functional as they are beautiful. They are also recyclable of course, but with a sink like this who would want any other? 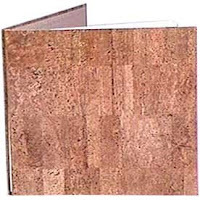 These funky notebook covers are custom made from cork (shown here) or bark. Choose from 3 shades of cork or bark. JamPaper.com also carries laced leather spine notebooks that measure 6 in. x 6 in., 100 sheets/200 pages per notebook. Notebook covers can be custom made to any size.